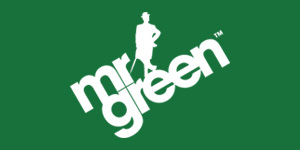 Mr Green, founded by three Swedish entrepreneurs back in 2008, is a well-respected online betting site. In fact, it is now one of Europe’s leading casinos. When these three experienced entrepreneurs first started out, their aim was to create a betting site that allowed their customers to immerse themselves into the gaming world fully and it is fair to say that they have achieved this aim. What helps mrgreen stand out from the crowd is that they have taken the unique approach of using software from several of the gaming world’s best developers instead of relying on just one game provider, giving players much more variety. Mr. Green has games available to play from highly respected developers such as NetEnt, Microgaming, IGT, NextGen, Play’n Go, and Thunderkick. They are well known for creating innovative games with tasty prizes. Besides providing a comprehensive selection of casino games and slots, Mr Green has a sportsbook option, and recently the company has started to branch out into a flourishing new area – eSports. The creators of Mr. Green are always keen to add lucrative markets to their site, so there was just no way that there were going to miss out on the eSports industry – an industry that attracts around a quarter of a billion people each year, and one that is still growing with no sign of slowing down. Dismissed just a few years ago as ‘not a real sport’, the folks at ESPN had to eat their CEO’s words when they realized the potential of the market. Competitive video game playing started out as informal contests between groups of game enthusiasts, but the games developers saw the promise in creating endorsed tournaments and providing prize funds. In the past few years, it has become big business, with the 2017 market estimated to be worth three-quarters of a billion GBP. With an enormous following – the League of Legends World Championship finals is said to have attracted up to 60 million viewers worldwide – it’s no wonder that spectators have started betting on the outcomes of these competitions. Mr Green, along with a number of online casinos, has started offering official odds on different aspects of the various tournaments. Mr Green seems to have ambitions to be a first choice for an eSports betting site. At mrgreen.com eSports you can bet on some of the of the best and most popular games that are played at a competitive level. These include League of Legends, StarCraft, Dota 2, CSGO, Heroes of the Storm, and Hearthstone. The two most popular competitive games are League of Legends, created by Riot Games, and Dota 2, from developers Valve. Both these games are known as multiplayer online battle arena (MOBA) games, and in fact, there are big similarities between them because they have common origins. In this type of game, two teams of five players attempt to capture the opposition’s fortress while protecting their own. In terms of popularity, LoL attracts more players, but the prize funds for Dota 2 are higher. Another extremely popular competitive game is Counter-Strike: Global Offensive (CSGO). Unlike Dota 2 and LoL, CS: GO is a multiplayer first-person shooter, where each team plays as ‘terrorists’ or ‘counter-terrorists’. The newest eSport on the block is PlayerUnknown’s Battlegrounds (PUBG), inspired by the movie Battle Royale. This is a game that can potentially be played by up to 100 players at a time. Professional competitions only started for this game in 2017, and the developers are still experimenting with making it a more spectator-friendly experience. Another burgeoning eSport is Overwatch, a game with a similar play to CSGO. The first competition was in 2016, and the game is still finding its feet as an eSport. 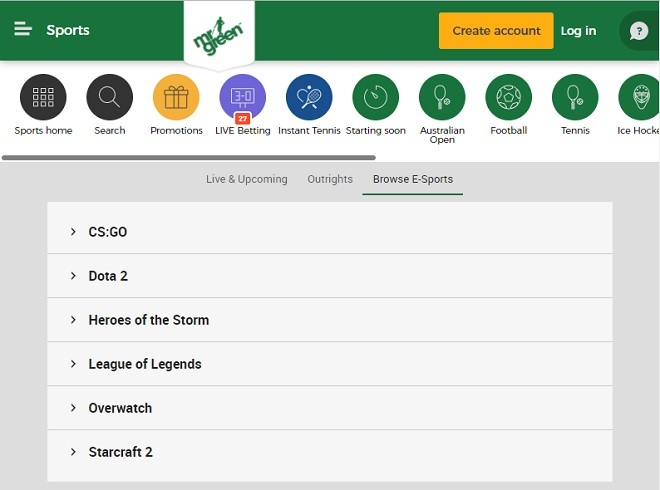 The coverage available for eSports betting may not be as vast as that which you will find on other sites offering eSports, but that does not mean that you will be disappointed if you have an account with Mr. Green and like betting on eSports from time to time. You will be able to bet on the winner of a particular match or matches or the outright winner of a particular tournament. In games like CSGO you will have the option to bet on the winner of pistol rounds, the exact score of a fight, and what team will get the first kill. Live betting is also available, with the odds changing as the game progresses. Mr Green tries to offer odds on as many national and international tournaments as possible. Information about the competitions currently covered is available in the dedicated eSports section of the Mr Green website. At this time there is no specific eSports bonus code 2018, and in fact it is not yet usual for such sportsbook providers to offer a bonus code specifically for the eSports betting market. The more online bookmakers offer odds and betting on eSports, the more such bonus codes and promotions are likely to become more common as competition increases. Players should keep a lookout for eSports bonus codes as they may become available. Of course, Mr Green offers a generous welcome bonus to all new players, and this applies to eSports betting as well as to any other part of the online casino. Your first deposit will be matched up to a maximum of €50, and the matched money must be wagered a certain number of times as specified in the Mr Green Terms and Conditions. In addition to being able to play on a desktop or laptop platform, players can choose to play on a mobile site that is accessible on a tablet or smartphone. Even if you are playing on a mobile device, you will still be treated to the same amazing graphics and free play option that allows you to play games for free, so that you can find the perfect game for you without wasting any of your money. It has to be noted that there are slightly fewer games available on mobile devices than when playing on a laptop or desktop platform. A new free mobile app is now available to Mr Green customers. At the time of writing, Android users will need to download it from the Mr Green website, and those with iOS can obtain it from iTunes. A lot of effort has clearly gone into making this website extremely easy to use. 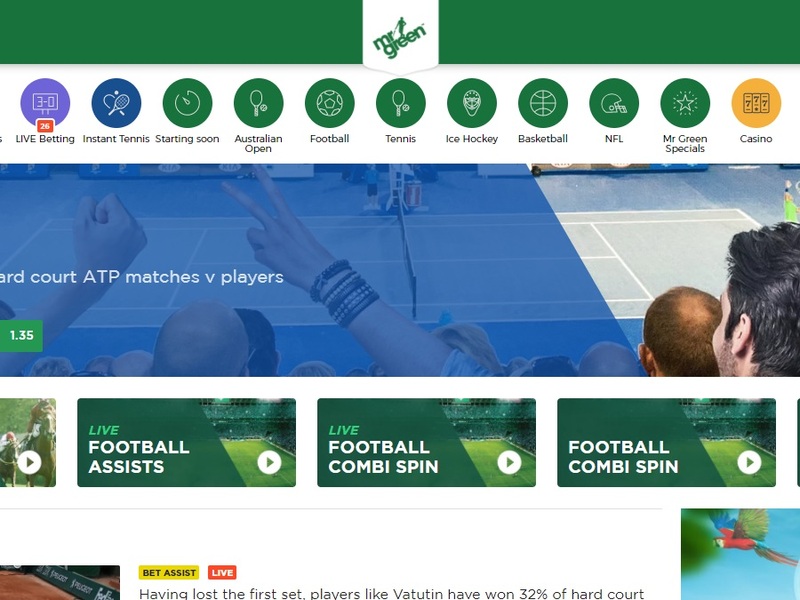 eSports are given their own tab on the mrgreen.com homepage, where users can click through for lots of information and tips on how to get started. Another commendable user feature of Mr. Green Casino is that players have the opportunity to put a limit on the amount of money that they are able to gamble with. They can set themselves a weekly limit, and once this weekly limit has been wagered and lost, they cannot place another bet until the rest of the week has passed. This feature allows players to regulate their own playing habits. Signing up to this betting site is extremely simple. All you have to do is provide personal information such as your name, contact number, house address, email address, and create a password. Once you have done all of this, a validation code will be sent to your mobile and you need to use this code to verify your account. Eventually, you will be asked to prove that you are over the age of 18, so make sure that you have some identification handy that you can take a picture of and send to them. Until you have proven your age, your bets might be restricted. All respectable gambling sites nowadays offer their customers as many different methods of depositing money as possible and this sportsbook is no different in this respect. If you have opened an account with Mr. Green, you can deposit money into it using methods such as Voucher Pro, Przelewy24, Skrill, Trustly, Euteller, Neteller, Zimpler, Mastercard, Visa, and Paysafecard. No options are available yet to deposit in bitcoin. Making deposits is extremely straightforward. All you have to do is click the “Deposit” button at the top, follow the instructions, and you can be betting in no time at all. The same methods mentioned above for depositing money can be used for withdrawing any money that you are fortunate enough to win. If you are using Skrill or Neteller, your withdrawal will be processed within 24 hours. If you are using some sort of credit card or wire transfer, you might have to wait a bit longer for the processing to be completed. However, the most a player will have to wait for a withdrawal to be processed is 3 days, which still compares very favourably with other sites. For your complete safety. Mr. Green makes use of some of the software encryption around to ensure that your personal data is kept confidential. Therefore, you can be assured that withdrawals and deposits will be processed safely. A lot of queries can be satisfactorily answered by consulting the FAQs, but for those who still need assistance, the customer service is excellent. Phone support is available in seven different languages, 24/7. There is also email support and a live chat service.